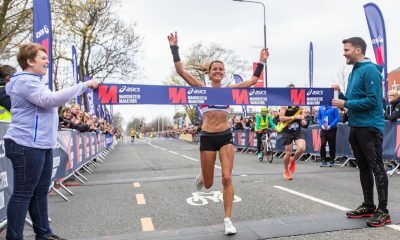 The ambitious 2018 British marathon champion provides an insight into how she trains. 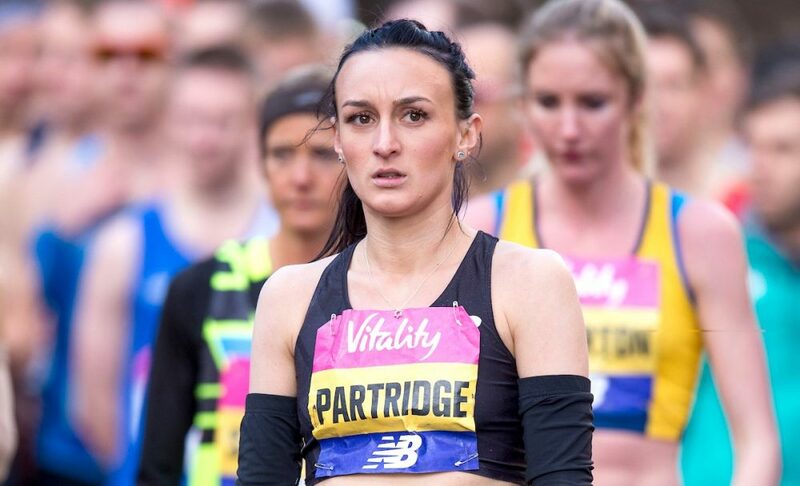 Lilly Partridge is one of the new breed of British long-distance runners that bring a no fear attitude to the marathon, and she has big ambitions for the distance, including one day, running low-2:20s and medaling at major championships. 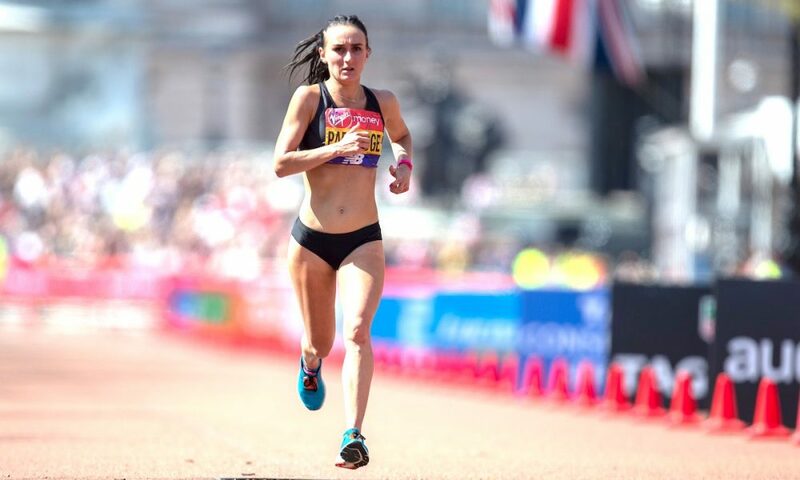 The Aldershot runner took a positive step forward on April 22 (2018) when she finished eighth overall in the London Marathon and first British woman in a personal best 2:29:24, which secured her a spot on the GB team for the European Championships. Partridge, who has a half marathon PB of 70:31 and 10k best of 33:03, shares details about her training, her love for the road and cross country, and the biggest lesson she has learnt to date in her running career. 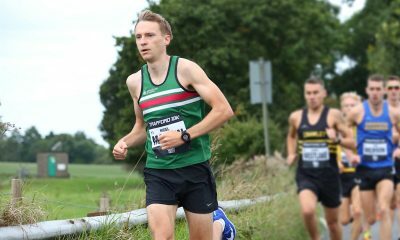 Fast Running: You race from 10k, 10 mile, the half marathon and marathon. How would you rank the distances? Lily Partridge: The marathon would win hands down. Crossing the line in my first marathon in Seville was the best feeling I’ve ever experienced in athletics, prior to London. I love everything about the distance, the focused build up, the routine and then the race itself. I haven’t competed in many 10-mile road races, but I’ve really enjoyed the ones I have done. I think it brings the track runners and half-marathon athletes onto an equal playing field and makes it fun. Then I’d probably pick a half marathon over a 10k but only because I’ve run faster in a half, although I would love to run a fast 10k on the roads for sure. FR: Of those distances, how does your race tactics differ in each? LP: For the marathon, it’s a more precise and focused build-up because you typically only get one shot and then have to wait months until you can effectively try again. The marathon is much more about the execution of a whole plan from the start right through until you cross the finish line, whereas in the other events you can be a bit more risky and take a shot more often. So in the shorter races sometimes it’s worth having a go and seeing what happens. FR: What does your peak marathon week of training look like and how big of a role does strength and conditioning play? LP: I do two main sessions per week, and then maybe a smaller one depending on what the other two look like or how hard I’m going to do my long run. We work on doing something hard every two to four days and everything else fits in around that. I do strength and conditioning twice a week with Cornerstone Sports Performance, but I typically only lift once a week when in heavy mileage. The rest is conditioning and mobility work. FR: Building up to a marathon, what distance is your longest run in training? LP: Outside of an actual marathon, I have never ran further than 23 miles in one go. However, I tend to run for time rather than distance. I just target to run for two hours and 30 minutes and 23 miles is the distance I typically end up with. I really try not to focus on mileage, and instead focus on aspects of the programme to make sure I don’t miss key elements. During a marathon build-up, my long run is just one of those elements, but typically I will run to time and then maybe round up or down on mileage depending on how I feel. FR: Cross country plays an integral part in your season. How does it benefit your year ahead? LP: I just enjoy cross country and I don’t really get stressed about it. 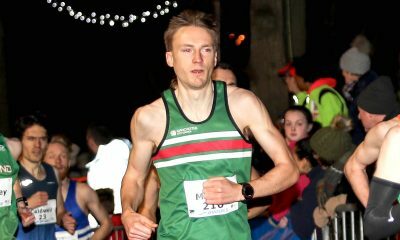 It is just good fun and the atmosphere is great at a cross country meeting, whether it’s in the UK or in Spain, when I get the chance to run in their race series. From a performance point of view, I gain a lot of strength from cross country and the training required for it. The heart rate will remain high throughout the race and it is a really hard workout. I think it can get you fit without really realising it or overthinking the method too much. FR: What are your favourite and least favourite sessions? LP: I surprisingly like track work, but I also love just going out and running a hard 10-12 miles on my own. It’s currently my sweet spot with training but maybe the marathon will change that as I improve and go through a few more marathon cycles. Hills and evening runs are my least favourite. I hate hills, but they are really important, so I try and fit them in more so before marathon training every two weeks or so. With evening runs I’m usually tired and it’s not easy to get out the door again on tired legs. FR: Do you train to heart rate or by how you feel? LP: I run to feel – I’m quite good at reading my body and I like the freedom. I get frustrated with too much other information. I do often do key sessions and runs with a GPS but not always depending on how I feel and what the session is. FR: Do you have training partners or do you run most of your mileage solo? LP: I have a training partner. Aldershot club mate and former national junior champion Ian Bailey, who does all the sessions with me and sometimes in between runs depending on our schedules, which is a huge bonus. After a long period of training on my own, we started training together after the Great South Run in 2017 with a view to him helping me with my training for 2018 London Marathon. FR: Do you work alongside running? LP: I was working part-time until the beginning of March (2018), but I dip in and out of working and being full-time to fit around my running, as and when it requires it, by having bank work. FR: What is the best advice you ever received specific to the marathon? LP: “Don’t sit down at the end.” – I didn’t listen after Sevilla and it was horrible; I couldn’t get back up. I think just enjoy it, enjoy the process and don’t take it too seriously. When I take it too seriously I run worse – I need to be relaxed. You have to do the work and you won’t always feel like it, but do whatever you have to in order to make it enjoyable. Whether that is running with friends, music or changing the session a bit if necessary to get your head through it. I’m not someone who agrees with having to make it harder than it is already going to be so I try to enjoy the process rather than be super rigid with it. FR: And to finish, the biggest lesson you have learnt to date? LP: Trust yourself and be open to learning. Everyone has a way of doing things and sometimes it won’t suit you and that’s okay. I used to hate cross training with a passion, but actually, it is one of the key things that has allowed me to get back into good shape; I really had to swallow my negative feelings towards it and now quite enjoy it after seeing the benefits of it in my weekly programme.